The High School Relations office provides advice and guidance on college courses you can take during high school, fifth year and ASCENT. The Concurrent Enrollment/ASCENT Programs are great opportunities to receive college and high school credit at the same time. Courses are taught in the high school classroom or on the Red Rocks Community College campuses. 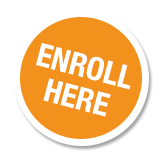 Click on the Concurrent Enrollment links below to learn more. Red Rocks Community College offers more than 150 programs and 650 courses leading to two-year degrees or professional certificates and can save you thousands of dollars by transferring to a four-year school upon completion. Red Rocks has campuses in Lakewood and Arvada. Courses are delivered in formats from traditional classroom to online to self-paced and weekend classes. Click here to view a full list of the programs offered at Red Rocks Community College. Click the College Bound link below to learn more about how to get started.